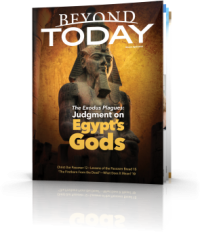 Am I here by chance—for no particular purpose—or did a great God create mankind for an important destiny? 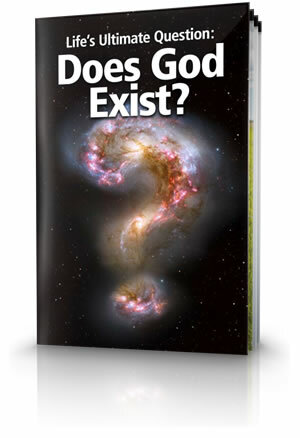 The question of whether God really exists perplexes many people. For some the question is too perplexing and they put it on the backburner. Philosophers have tried to answer the major questions about mankind's existence and place in the universe. But most have taken the approach that there is no God and that the universe came from nothing, and that life evolved from inert matter. The late British theoretical physicist Stephen Hawking, author of A Brief History of Time: From the Big Bang to Black Holes, when considering some of these vital questions observed that, We find ourselves in a bewildering world. We want to make sense of what we see around us and to ask: What is the nature of the universe? What is our place in it and where did it and we come from? (1988, p. 171). British historian Paul Johnson recently wrote A History of the Jews. Within its pages he, too, asks some of humanity's most important questions, What are we on earth for? Is history merely a series of events whose sum is meaningless? ... Or is there a providential plan...? (1997, p. 2). We can find the answers to these questions. Irrefutable evidence of God's existence is available. Why are we here? What is our place in the universe? What is the purpose of life? Because God cannot be detected or measured by physical means, the scientific community has taken the position that He does not exist. Did our universe always exist, or did it have a beginning at a specific point in time? Our Awesome Universe: How Big Is Big? The amount of matter and energy in the universe is unfathomable to the human mind. We must face the question: How did all this come to be? Robert Jastrow comments speak volumes about the attitudes—and at times outright bias—some scientists hold against the possibility of a Creator. Scientists from many fields have discovered that our planet not only teems with life, but seems to be expressly designed for life. An amazing intelligence seems to be behind Earth's perfect conditions. What is that intelligence telling us? So many of our planet's forms of life are dependent on an environment in which liquid water is stable. How did life begin? How did our planet's amazing variety of animals and plants come into being? The discovery of DNA's double-helix structure opened the floodgates for scientists to examine the code embedded within it. Could evolution have gradually come up with a system like this? Many excellent books and videos have been published in recent years detailing scientific findings and conclusions that point to a Creator. Here are a few. The more deeply scientists delve into the mysteries of the universe, the more their discoveries support the existence of God. But all too often they are remarkably silent about this aspect of their findings. Does your life have meaning and purpose? Man has developed three views, nihilism, humanism & immanence, that attempt to explain the meaning of life without God. These have had an enormous impact on the world and the way people live. God created you with a specific purpose in mind. 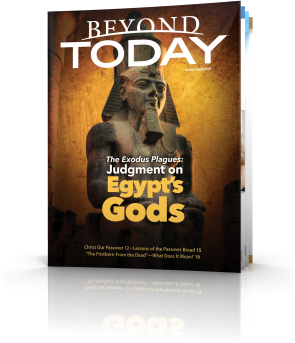 Why does man reject the God of the Bible and the divine laws that define His standards? If God exists, why doesn't He reveal Himself? If God is real, why doesn't He reveal Himself to us in a way that should erase any doubt of His existence? If there is a God, why don't we see, hear or touch Him? Closer than ever to the end of this present evil age, we have an unusual window of opportunity to search out the hidden purpose of our existence, to find our way back to God. 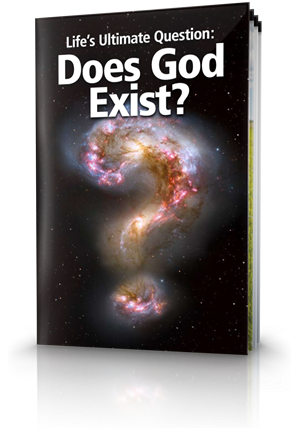 In this booklet we examine the foundational premises of evolution. We consider the evidence evolutionists cite to support the theory. Perhaps most important, we look at the scientific facts evolutionists don't discuss in public for reasons that will become clear. You can know whether evolution is true. We hope you'll examine the evidence carefully. What you believe does matter. I'M SEARCHING AND PRAY THAT YOUR LITERATURE GUIDES ME.